Starting with my own Guide to Getting an Accurate ADHD Evaluation. The first of the ADHD Resources you may find yourself needing! Need help getting an accurate diagnosis? You Interested? Learn more and download the guide here. Books are a great ADHD resource, even though reading isn’t typically something we are known to love (though some of us do!) If you aren’t a fan of reading, remember you really don’t have to read them cover to cover. I look at the table of contents to find the parts that I really want to know about it skip straight to them. The ones I have recommended here are ones that it’s really easy to do that and not feel lost or confused. I love this book so much. It’s probably my favorite one on the page. Her ideas on organizing your home aren’t just called ADHD friendly. They actually ARE. 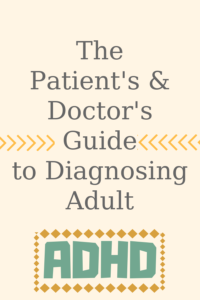 I really think that every adult with ADHD needs this book. This is another one of my favorites. It’s written by an ADHD coach with ADHD with the intent of helping you learn to be your own ADHD coach. It’s really good. These first two are CBT type workbooks designed to help you get rid of negative self talk, improve your emotion regulation, and focus better. This one is more about overcoming your executive function challenges like planning, organizing, etc that comes with ADHD in Adults. These two are both fantastic resources to help ADHD marriages overcome the struggle and succeed together. ADHD often causes challenges in relationships–these are written to try to help change that. These classes from Udemy are excellent! My personal favorite is the Motivation and Focus Course from an ADHDer and psychotherapist. Click the Pictures for more information. Unroll.me is a wonderful way to clean up your inbox and keep it from getting out of control again. I used to have over 10,000 unread emails. Now, it’s cleaned up and stays that way. All thanks to this program that lets you easily unsubscribe from all of the things you forgot or didn’t realize you signed up for and even lets you roll multiple emails into one single “daily Digest.” I love this app and it’s a life saver for the ADHDer with the out-of-control inbox. If This Then That (IFTTT) is an app that helps your other apps and devices stay in sync. Sounds a little boring but let me tell you, it’s anything but. You can set rules with IFTTT that help you find your phone if it’s lost, automatically email yourself screenshots you take on your phone, automatically mute your phone when you arrive at work or school, send you a reminder if you’ve missed a call or email, trigger a phone call if you need to get out of an awkward situation, remind you every hour to drink a glass of water and So. Much. More. Home Routines lets you create chores and household to-do items to a daily, weekly, or whatever time frame you need it to be, schedule. It can be be shared between others in the house with tasks assigned to each person and reminders built in to help you get it done. A visual chore list not based on calendar dates but on actual need. Similar to Home Routines but has an Android Version for those who aren’t into the iphone scene. Habatica is a game in which you assign tasks (from your to do list) to your game character and when you complete the task (in real life) your character gets rewarded. There are tons of players worldwide that use Habitica and you can go on quests together and defeat monsters with the points you earn. It’s basically a game that makes you more productive. Forest App is a different kind of game and productivity motivator. You start the app with planting a seed. Planting that seed is the indicator that it’s time to focus. If you stay focused on your task, your seed will grow into a tree. If you click out of the app to go on facebook, your tree dies. What’s cool is you can also compete with friends to create a better forest in the game while being more productive in your real life. SuperBetter is a self care game. You set tasks or “quests” for yourself and get points when you complete the tasks. You can play with friends, you can set quests for friends, and encourage each other through the game. Engaging in this app claims to improve mood and boost resiliency. Organize Your Inner Universe. This is a great tool for helping you organize your thoughts, which can reduce your overwhelm and help you be more productive and calm. Coach.Me is a really cool app that lets you track behaviors that you want to stop, start, or change. It has a community feature that lets you get support from others who are trying to make a similar change and it has you log how you’ve done with your change each day. These products are my go to ADHD resource for making life less frantic; a little less of a can’t-find-this-thing-that-I-can’t-live-without, less crap-I-forgot-this-thing, zoned-out-and-missed-the- instructions-and-now-I’m-going-to-die kind of ADHD life. You get it. *I recommend a blanket that’s about 10% of your body weight. This product may also seem familiar. *I found that this worked in helping me sleep. Really well actually. Fair warning, it tastes aweful. I found out the hard way that it’s not Celiac Friendly, however, so if you have Celiac I’m sorry. When You Think It’s Anxiety but It’s Really ADHD: learn how ADHD looks in women and why it’s so often confused for other disorders like Anxiety. How to Organize Your ADHD Mind to Be More Productive: learn practical strategies to get that mental clarity you’ve been needing and how to use it to get things done. How to Master That To-Do List When You Have ADHD: learn more in depth strategies on getting things done.